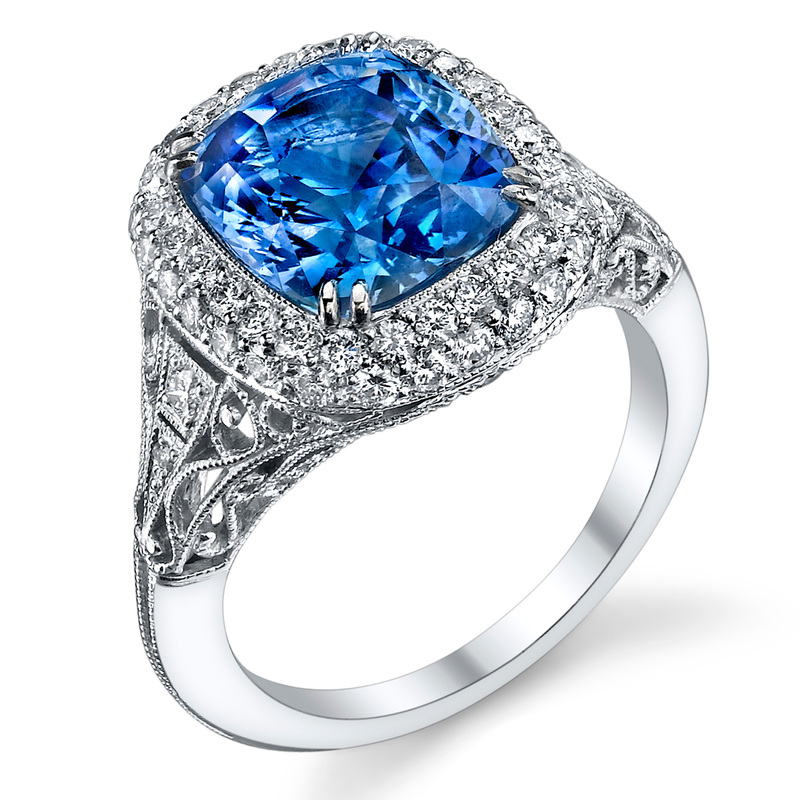 Handcrafted platinum filigree ring with center five-carat cushion-cut blue Ceylon sapphire and white diamond accents, inspired by the jewelry of the Edwardian era. Ring is currently a size 5 3/4. Please contact our concierge for sizing information. First sizing is including in purchase price.